Disney and Lucasfilm released a new poster for "The Force Awakens," the new "Star Wars" movie that comes out December 18. It's pretty standard for a "Star Wars" poster, a collage of all the characters and vehicles from the movie. But there are also a few notable mysteries. Warning: Stop reading now if you want to avoid spoilers or speculation about the next "Star Wars" movie. Mystery 1: Where is Luke? 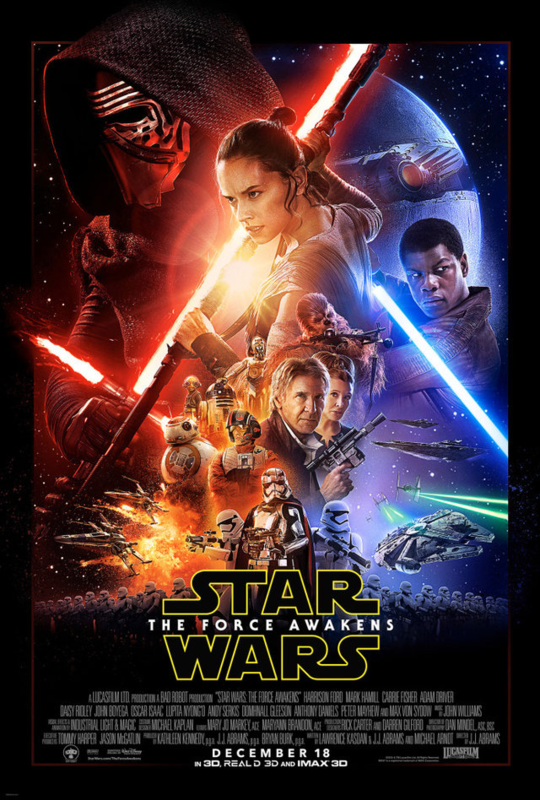 We see all the main characters on this poster except for Luke Skywalker, who's played by Mark Hamill. 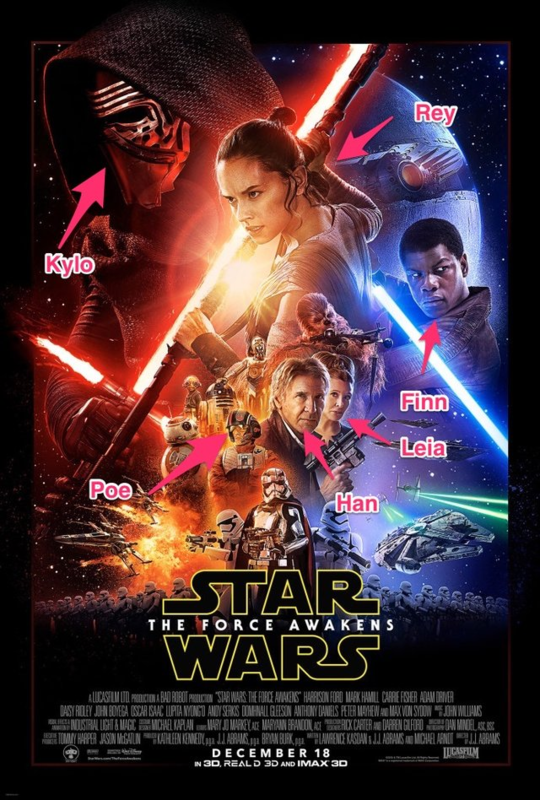 We already have confirmation Hamill will be in the movie, but he's not on the poster along with Princess Leia, Han Solo, and the new main characters Finn (the guy with the blue lightsaber), Rey (the woman with a bun in the middle), Poe (the X-Wing pilot), and Kylo Ren (the new bad guy with the red lightsaber). Luke's role in the new movie has been the source of a lot of speculation. "The Force Awakens" takes place about 30 years after "Return of the Jedi." What has Luke been up to since then? 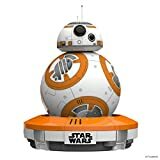 The most common theory is that he went into hiding and will have to come back in this movie as the galaxy faces a new threat from an evil group known as The First Order. Many think Luke will come back to train Finn to be a Jedi, just like Yoda trained him in "The Empire Strikes Back." 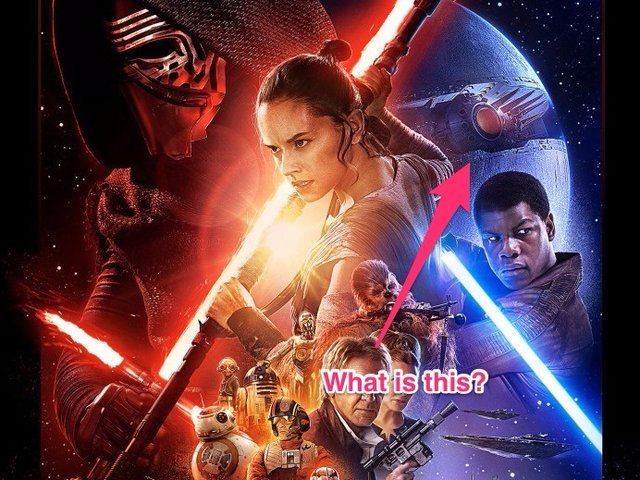 The poster shows Finn holding a lightsaber, so it's pretty clear he's our new Jedi hero for the next few movies. So, given all the mystery surrounding Luke, it makes sense that Disney and Lucasfilm would purposefully leave him off the latest poster. Mystery 2: What is that round ship in the top right of the poster? If we had to guess, it looks like another Death Star. This is pure speculation, but we wouldn't be surprised if The First Order designed a modern version of the Death Star to wreak havoc across the galaxy, just like the Galactic Empire did in the original trilogy. It's possible we'll see a similar final battle in "The Force Awakens," with the good guys trying to blow up the latest version of the Death Star, or whatever it's called this time. The fun doesn't stop there. Disney also announced that a new trailer for the movie will debut during "Monday Night Football" on ESPN Monday night.